Just 30 minutes from Downtown Savannah, a carefree and quirky seaside community awaits with beckoning beaches anchored by an alluring lighthouse and a sea of casual coastal shops filled with everything from aquatic art to colorful clothing. Named one of “The South’s Best” by Southern Living, Tybee Island is a must-see gem on the Georgia coast. 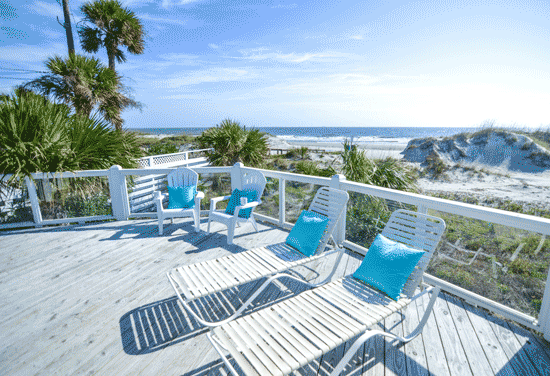 A vast array of accommodations abound on “Savannah’s Beach.” From tasteful townhomes to charming coastal cottages and condos just steps from the ocean, there is something for every vacationer. Heaven by the Sea is a beachfront home with a pool, hot tub and an elevator that sleeps 14. 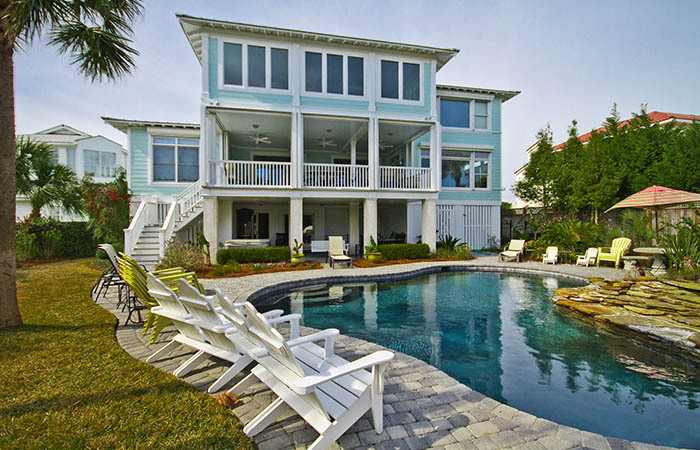 102 Casa Verde is a modern antebellum beach mansion on the North End that sleeps 14. 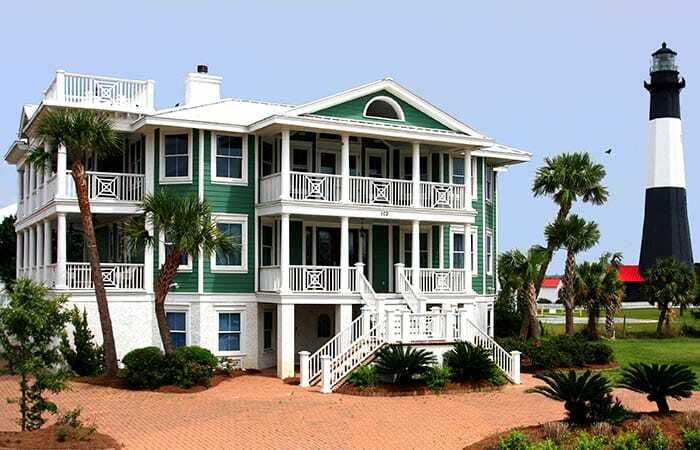 The oceanfront 7 Palmwood Court sleeps 14 and features a heated pool, hot tub and an elevator. 29 Lighthouse View is a luxurious five-bedroom home on the North End with wonderful views of the ocean. For instance, the popular Oceanfront Cottage Rentals’ luxurious lineup of over 100 properties offers plenty of options year-round. Ranging from smaller homes on the South End (excellent for weekenders searching for a great value) to family- friendly, multi-story mansions on the North End, their accommodations vary widely and are suited to a variety of vacation preferences. The pet-friendly 1 18th Street Upper sleeps six and offers an oceanfront views of South Beach and Little Tybee Island. Photo courtesy of Oceanfront Cottage Rentals. 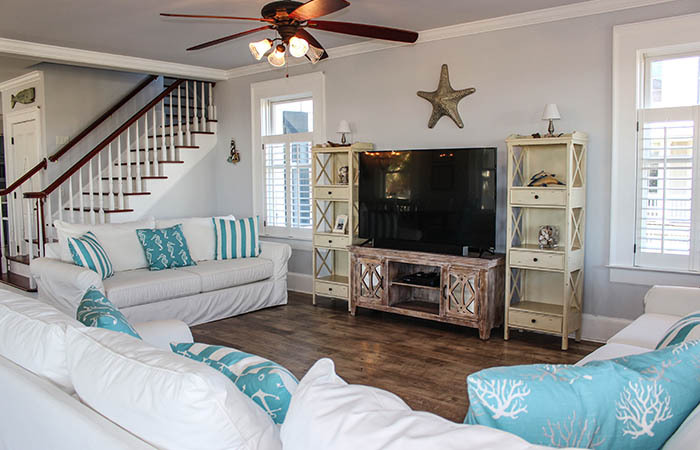 Much more than simply a place to get away for a little R&R, Oceanfront Cottage Rentals offers guests “a home away from home.” In fact, owner Stacye Jarrell started the business 20 years ago with her very own home—The Cottage—which is still available to rent. 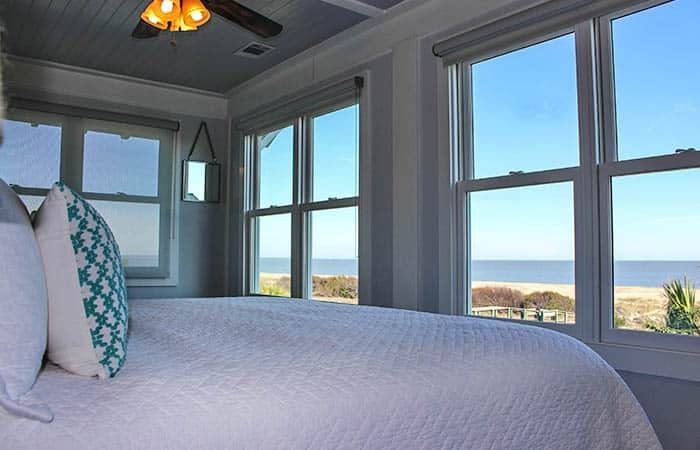 The cozy, compact Cottage pales in comparison to their newest property—the mammoth eight-bedroom Mansion on the Hill featuring a honeymoon suite and billiard room located on Tybee’s celebrated Officers Row. 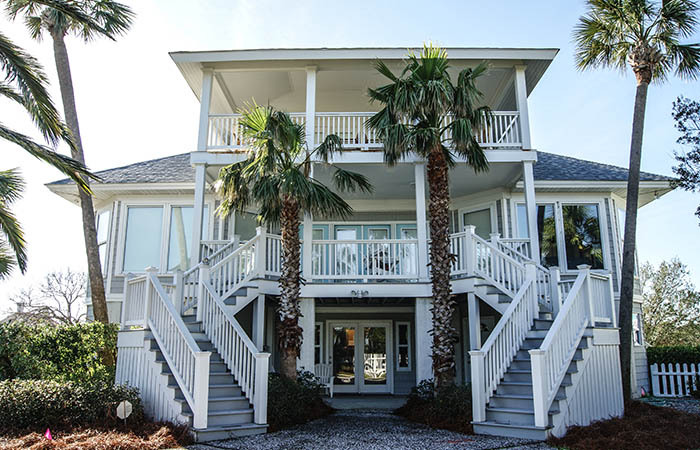 Whether the occasion is a retreat for colleagues, rendezvous for couples or quick, fun getaways, Oceanfront Cottage Rentals exudes Southern charm. You are sure to find the venue you choose sparkling clean, and overflowing with amenities! They understand nothing is quite as spectacular as sunset on the beach, and strive to give their guests many picture-perfect memories to hold in their hearts for years to come. Fannie’s on the Beach is located at 1613 Strand Avenue, open from 11 a.m.-11 p.m. daily. Photo courtesy of Fannie’s on the Beach. Life on the ocean creates its own culture and casts a wide, carefree net that seduces people from all over the country. Tybee Island’s year-round population is diverse, and brings an abundance of artists, outdoorsmen and award- winning chefs to Georgia’s Coastal Empire. On Strand Avenue, across the street from the ever-popular South Beach, Fannie’s on the Beach awaits! 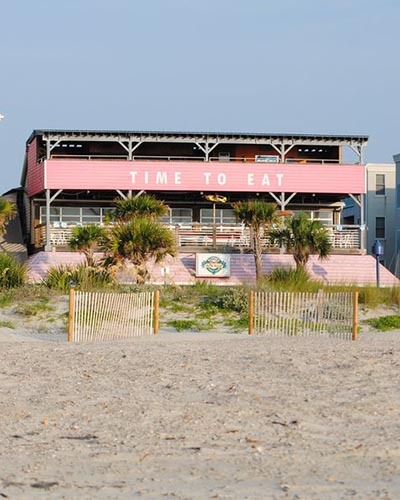 The epitome of lighthearted and loveable cuisine, the proudly pink Fannie’s is celebrating 25 years of fun, food and spirits on Tybee. The eatery boasts an eclectic menu of fabulous fare perfect for the beach. Sandwiches, salads, seafood, hand-tossed pizzas and steaks are a few favorites, and their famous Bloody Marys—repeatedly voted the best on the island—are incredible with their weekend brunch. On Tybee’s perpetually sunny days, there’s nothing like enjoying some of Fannie’s great food from the second floor, or drinks from their third-floor balcony bar while watching the sun set over the Atlantic. 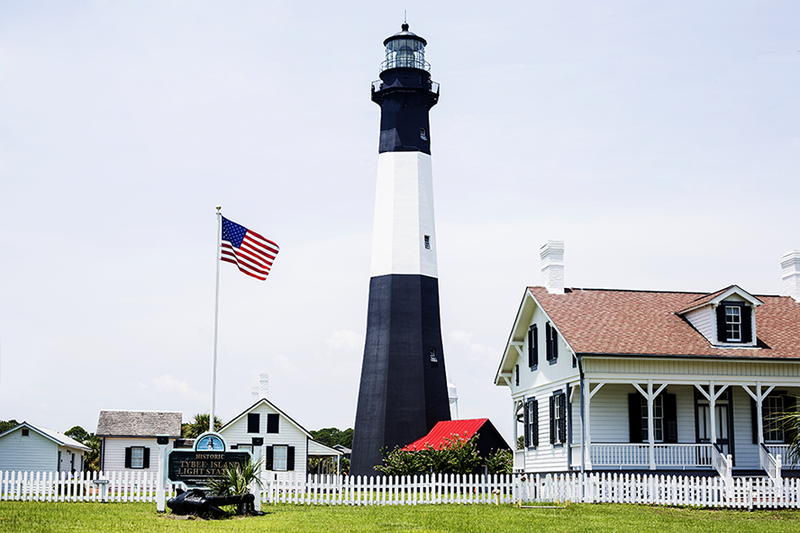 If it’s spectacular views you are after, walk on down to the North End, and just a block away you’ll find the Tybee Island Lighthouse. With a history dating back to 1736, history buffs will find it interesting and kids will find it a fun challenge. It takes some effort to climb those steps 145 feet to the top, but the view is definitely worth it! While bike rentals are in abundance, and an enjoyable way to view Tybee, Adventure Tours in Motion offers an exciting alternative for touring the island. Doesn’t everyone want to try a Segway? How about an electric bicycle? Here’s your chance! Glide effortlessly across Tybee on the large, all-terrain tires that make for easy exploration around the Lighthouse, Fort Screven and the Battery Garland on the North End. Choose from a variety of tours. Your 60-minute tour may even take you past celebrity homes! Captain Mike’s Dolphin Tours is a family owned and operated business that operates out of Lazaretto Creek Marina on Tybee Island. Photo courtesy of Captain Mike’s Dolphin Tour. 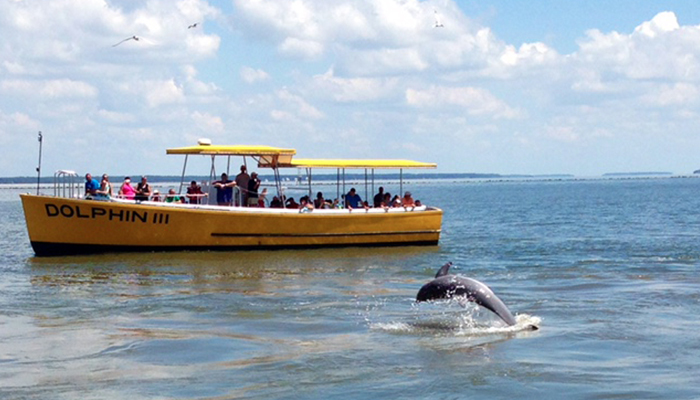 However, it’s usually the celebrities of the sea that are most sought after on a trip to Tybee—dolphins. These fun-loving, aquatic mammals have a friendly demeanor and will often swim right up to kayakers and boats. Docked at Lazaretto Creek Marina, Captain Mike’s Dolphin Tours offers the chance to meet some sea life during their daytime dolphin escapades, sunset cruises and historic adventure tours. The artistic community captures amazing scenes of day-to-day living on Tybee. From tiny, colorful cottage co-ops with many artists to solo painters on the beach, local artists can be found all over the island. 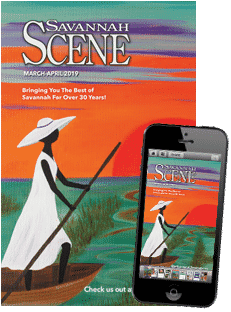 In fact, one of Savannah’s very own artists, Samantha Claar, makes her home on Tybee Island and it’s here she captures island- inspired landscapes from her creekside abode. 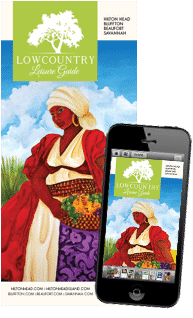 Though her artistic focus is the Gullah people, it’s obvious her life on Tybee influences her work, as marsh scenes and beach settings often emerge. Seek out her work and stop by some of the gracious galleries on the island before heading back home. 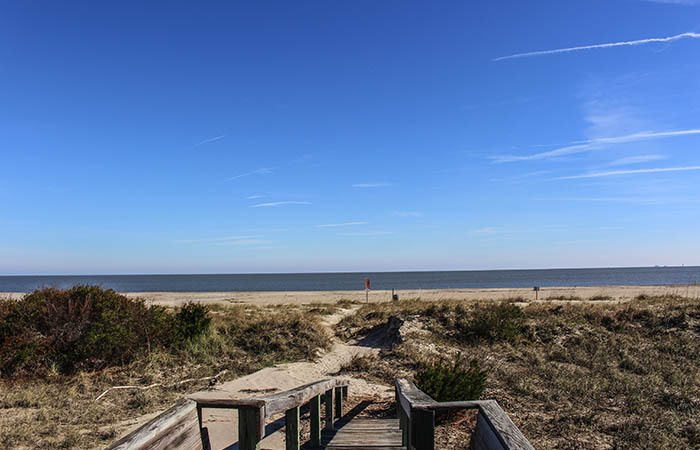 Summertime is the season of choice for most vacationers, but locals know of an even better time to enjoy Tybee’s sandy shores: the fall. 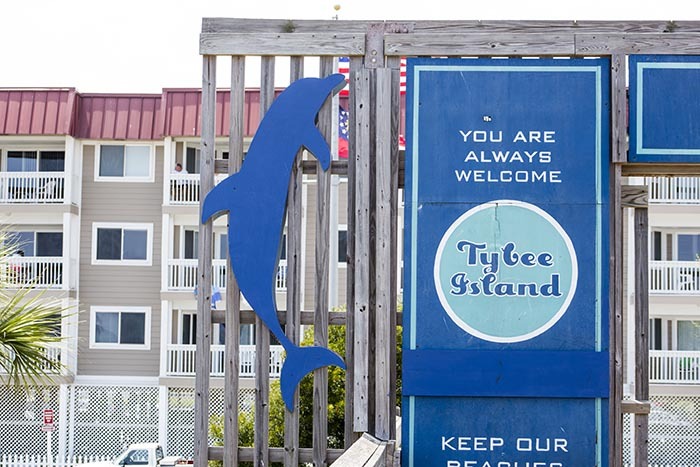 During Tybee’s amazing autumn season, the serene shores have elbow room, the streets are not jammed with traffic, and this lovely, bike-friendly community is easier to enjoy than ever. 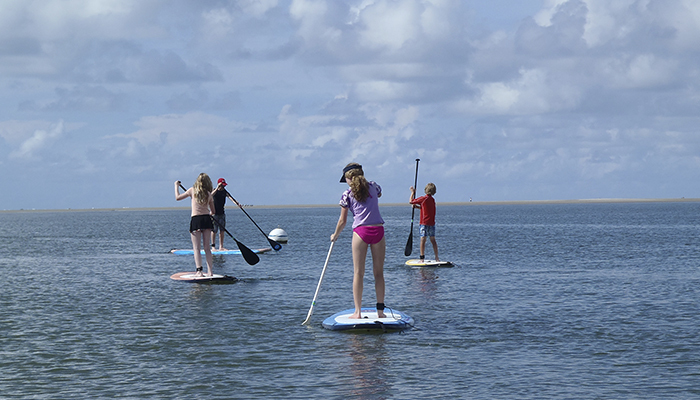 East Coast Paddleboarding offers stand up paddleboard tours of Little Tybee and Horsepen Creek, as well as lessons and rentals. Photo courtesy of East Coast Paddleboarding. Tybee summers can often wilt even the hardiest visitor, but the cooler, less humid temps of fall usher in fun fall festivals! The warm weather continues throughout the end of October. Highs in September average in the mid- to low-80s with lows in the 70s, while October averages a high of 76 and low of 57—perfect for enjoying a nice day on the beach and an outdoor fire at night. Plus, with water temps averaging 82 in September and 77 in October, you can still experience a paddleboard adventure to Little Tybee Island with East Coast Paddleboarding or explore the Back River with their Horsepen Creek Tour, with nary a fret about frigid water.